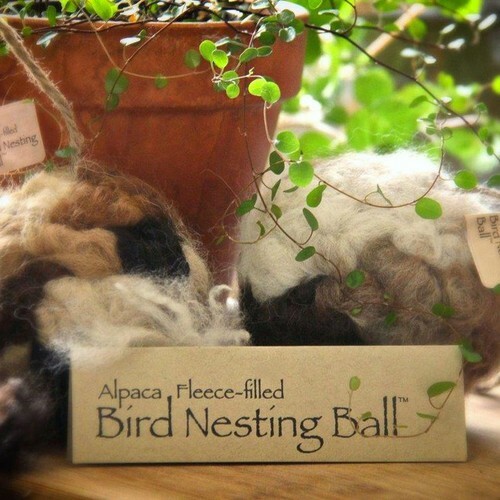 Nesting balls (patented and trademarked) come packaged in a crisp cellophane bag with simple labeling and a tuft of alpaca fiber on the outside. Grapevine balls stuffed full of soft alpaca fiber, great to line any nest. What a perfect gift for any birder. 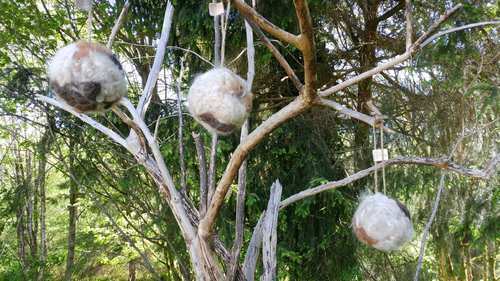 It is entertaining to see the nests around your yard fluffy with alpaca fiber.